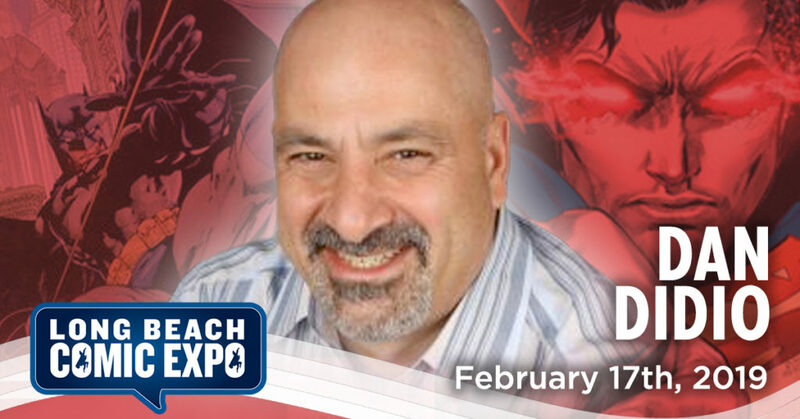 Named Wizard Magazine’s “Man of The Year” and comic book icon Dan Didio will be joining us at Long Beach Comic Expo 2019!!! Dan DiDio was named Co-Publisher of DC Entertainment alongside Jim Lee in February 2010. DiDio spearheaded such bestselling projects as BLACKEST NIGHT, GREEN LANTERN, IDENTITY CRISIS, ALL STAR SUPERMAN, ALL STAR BATMAN AND ROBIN, THE BOY WONDER and 52. Before joining DC Entertainment in January 2002, DiDio was with the computer animation company Mainframe Entertainment where he served as freelance story editor and scriptwriter for the television series Reboot and War Planets. Later he became its Senior Vice President, Creative Affairs, overseeing the development, distribution, marketing, and promotion as well as merchandising and licensing of all Mainframe’s television properties.